As tensions among members of the Liberal party heat up, with Defence Minister Marise Payne shooting down former prime minister Tony Abbott’s calls for nuclear submarines, Defence Connect spoke with opposition defence spokesman Richard Marles about Labor’s hopes for the Future Submarine Program. While Abbott was complimentary of Labor's history across issues of national security and was confident the party would be supportive of nuclear submarines if a "strong national security case were to be made", Marles questioned the logistics of such a move. "I mean the issue of nuclear – given that we don't have a civil nuclear industry in Australia right now – I mean obviously a huge question is posed right there," said Marles. The former minister for trade said the Labor party was more focused on ensuring ongoing commitment and bipartisanship to Australian shipbuilding capability. "We feel that we have dragged the government to a place where they are now committed to building 12 subs. You know we were the first party to make that clear that we need 12 submarines in terms of the future procurement. 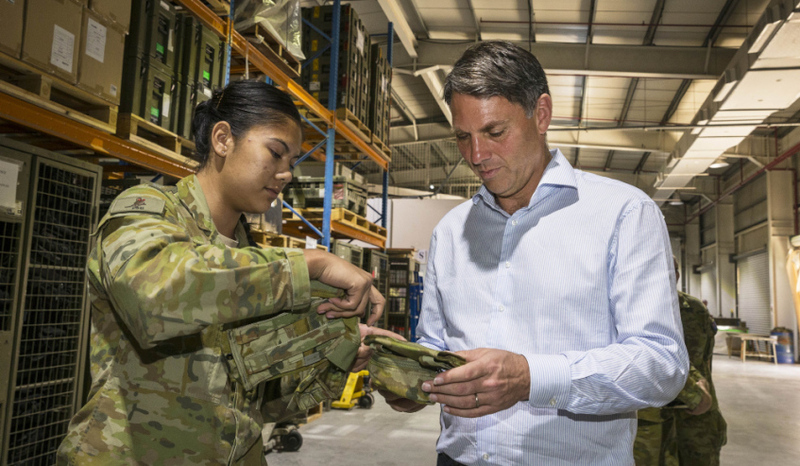 We feel like we’ve been dragging the government to a place where those submarines are now being built – committed to being built – in Australia, and built in South Australia," Marles said. "Our focus really is on ensuring that there is bi-partisanship around that, that the focus here is about the existing program in relation to the submarine build happening in Australia, 12 subs that [can] be done right and done as quickly as possible, and I think it is important that there is some bi-partisanship around that." While Abbott admitted there would be questions of costs associated with building nuclear submarines, he suggested Australia could start smaller and build a combination of conventionally powered and nuclear powered submarines. "Because of the engineering requirements, nuclear submarines are invariably more expensive to build and operate than conventional ones," Abbott noted. "On the other hand, even nine (say) nuclear powered submarines could more than do the work of 12 conventional boats." Australia selected Naval Group, formerly known as DCNS, as the Australian government's preferred international partner for the design of 12 Future Submarines for the Royal Australian Navy in 2016 over bids from Germany and Japan.